Most investors look for ways to reduce the amount of risk exposure and lower costs in their investment portfolios. A common way of lowering risk is adding lower-risk, more stable investments to the mix to smooth out the affect market changes have on an asset group, which is reflected in the whole portfolio. Mutual funds offer benefits when trying to accomplish this through diversification and the economies of scale that they achieve can be cost effective. But there are disadvantages to be watchful for. 1. Professional Management – Most investors don't have the time and expertise that a professional manager would has. 2. Investment Diversification – Investing in many companies spreads out the risk of losses. One loss has less effect on the whole fund. 3. Economies of Scale – Buying and selling large amounts of securities can translate into lower costs that can be spread out among investors. 4. Liquidity – The shares of stock are readily sold. 1. Professional Managers – The success rate of picking stocks that beat the market averages is always in question. 2. Costs – Variation between funds. They can be considerable in the long-run if overlooked. 3. Dilution – Too much diversification can have dilutive effect. The more companies that a fund is invested in means that a good performer has less effect on the performance of the whole fund. The larger a fund becomes makes it difficult to find good investments for all of the money. It's especially hard to buy and sell securities when the amount of the transaction dramatically affects the price. Anyone can build a portfolio of investments. But to increase the chances of a portfolio's performance generating positive returns, an investment strategy must be used with disciplined consistency. Many portfolio strategies exist and many are quite successful. Choosing one depends on a portfolio's investment objectives and the investor's own investment risk tolerance. 1. Money Market or Government Treasury bills – These are short-term, low-risk debt instruments that are very liquid. They are added to a portfolio to meet cash demands that can sometimes arise for those in need. 2. Investment Grade Corporate Bonds – These are the highest quality corporate bonds that have top ratings with financial services. They provide low-risk and steady income to a portfolio. 3. Blue Chip (Large-Cap) Equities – These are the highest quality equity stocks that are capitalized at $10 billion or higher. 4. Mid-Cap Equities – These are stocks of companies capitalized between $2 billion and $10 billion. 5. Small-Cap Equities – These are stocks of companies capitalized below $2 billion. They generally have a higher degree of risk and market volatility associated with them. Startup companies are included in this class. A moderately aggressive portfolio might consist of 50% equities, 40% fixed income securities, and 10% US Treasury bills. A conservative portfolio might consist of 75% fixed-income securities and 25% Blue Chip equities. Incorporating mutual funds into one or more of a portfolio's asset classes can have a stabilizing effect on an asset class and on the entire portfolio. It also lowers the costs per asset group with the economies of scale that they can achieve. The degree of this effect depends on the size of the investment. The reason for this is that each fund is comprised of its own portfolio of many investments and is professionally managed in accordance with one of the many known investment strategies. An investor is basically investing in a strategy full of the offsetting averages that result from the particular fund's investment choices. The addition of a mutual fund to a portfolio can pull the portfolio strategy in the direction of the fund strategy if they don't highly correlate with each other. The total effect depends on the size of the mutual fund investment as it would with any other similar investment in a single company. If a portfolio has an investment mix with an average beta (volatility indicator) of 1.2 (20% more volatile than the market), and a mutual fund of utility stocks amounting to 15% of the portfolio's value are added to it with an average beta of 0.5 (50% less volatile than the market), the whole portfolio's average volatility and its risk is going to be lowered. The addition of an equivalent investment in just one utility company might not have had an effect that is as stable as an average of many companies in the same industry. Mutual funds offer considerable benefits when added to an investment portfolio. The economies of scale from being able to invest large sums of cash per order and spreading out the costs among all of the investors helps keep down the costs for an individual portfolio. Each mutual fund has its own strategy that is followed for investing. When this is added to a balanced portfolio, there is a tendency for the portfolio's volatility to be pulled in that direction. When they are added to an asset class or portfolio that shares the same strategy, they reinforce it. 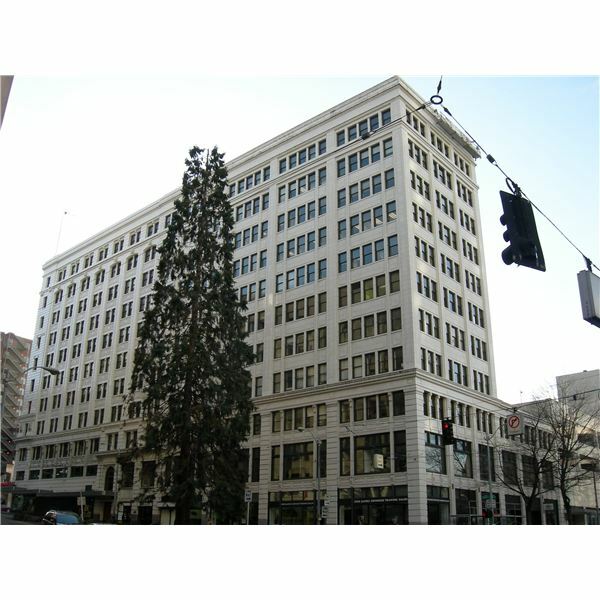 Seattle Securities Building, public domain, Wikimedea. 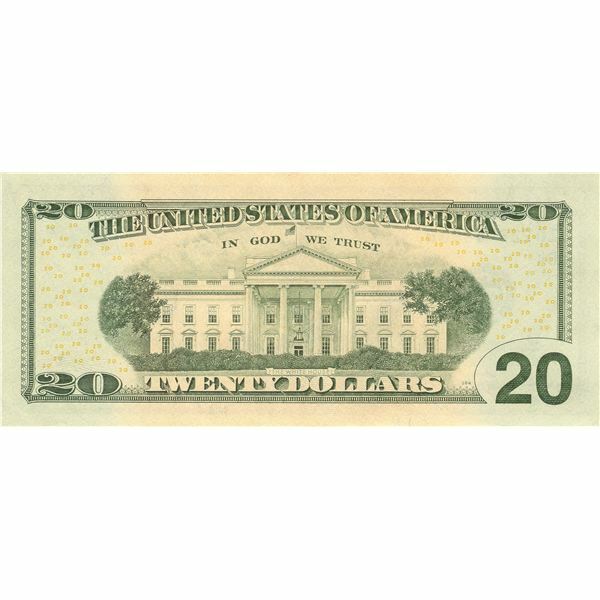 US Twenty Dollar Bill, Obverse, public domain, Wikimedia. 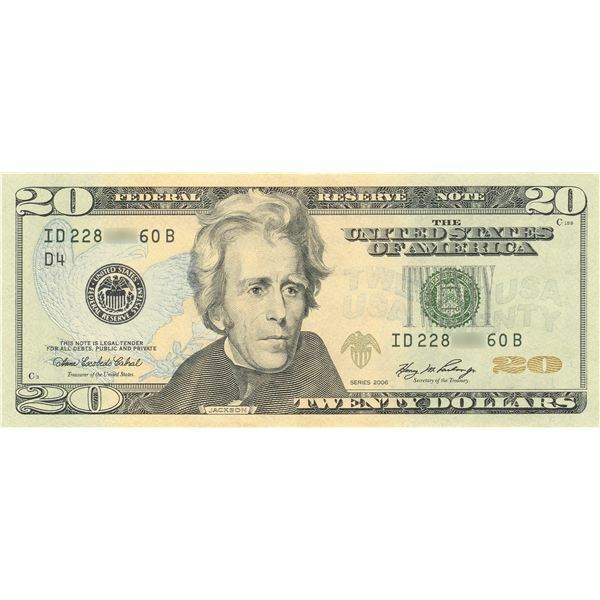 US Twenty Dollar bill, Reverse, public domain, Wikimedia. 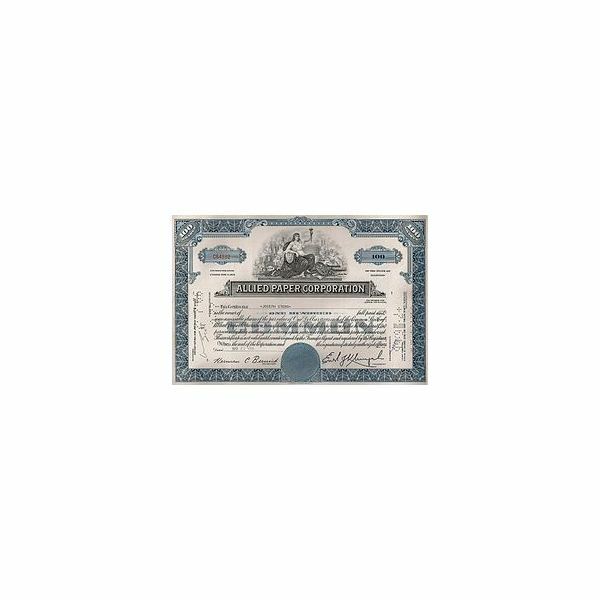 Allied Paper Corporation Stock Certificate, public domain, Wikimedia.